Help build affordable housing in Kittitas County today! Kittitas County Habitat for Humanity builds and sells homes to hard-working people in need of decent and affordable housing. Kittitas County Habitat for Humanity is part of a global, nonprofit housing organization that seeks to put God's love into action by building homes, communities, and hope. Habitat was founded on the conviction that everyone deserves a simple, durable place to live in dignity and safety, and that decent shelter in decent communities should be a matter of conscience and action for all. 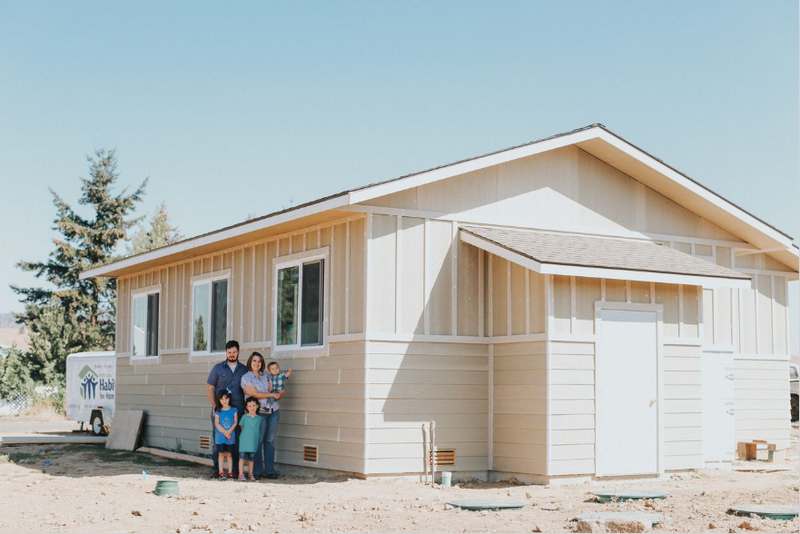 We are currently finalizing construction on our 18th home in Kittitas County, which will house Guadalupe Santos, Orlando Avila, and their 4 children. Donating is the right thing to do. I am a volunteer at habitat for humanity and my grandmother wanted to donate in my name, to the organization, as a holiday present. Habitat for Humanity is Changing Lives! Architects Northwest supports Habitat for Humanity and the 2018 Suncadia Real Estate Expo.